Home » Forums » Public Access » Chit Chat » I shot my screen today. I shot my screen today. But then someone told me monitors doesn`t cause lag! Raise your hands if you hate Wireless lag spikes!! Prepping for the oval weekend in June, are we? You tried connecting the weapon wirelessly? 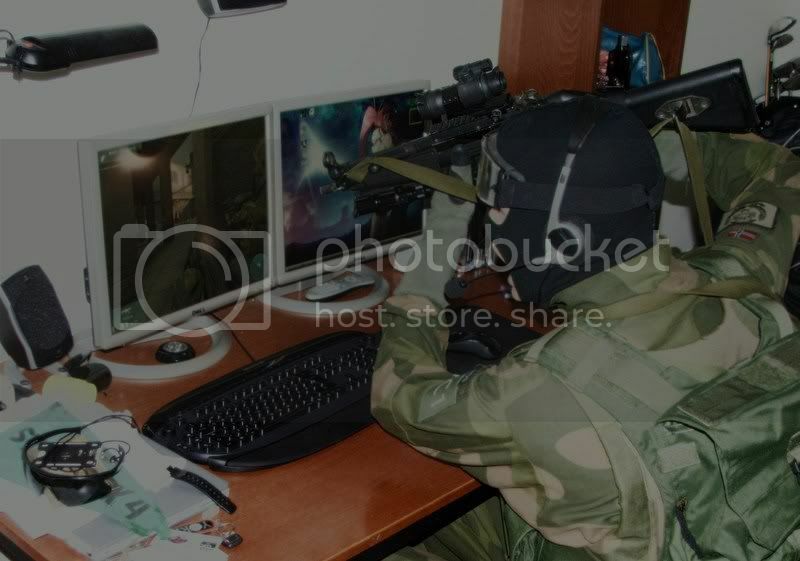 Are you seriously sitting there with the same gun as ingame? Pretty much lol. Just add a surefire tac light and switch the rvs ACOG with an Aimpoint. I see you also operate dual screen, kudos to you! Oh yes. After you go dual you dont go back lol. I gather this is a true SCREEN SHOT. Oh I have always been delightfully mad Ghost, you know that.